Please note: this tube is now obsolete. It has been superceded by Ethanol 100/a tubes (part number 8103761). 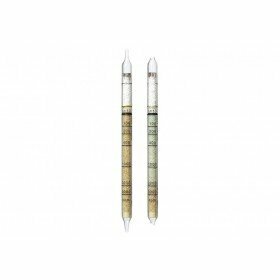 Short Term Detection Tubes, Alcohol 100/a (Measurement range: 100 to 3000 ppm): Detects a range of substances incl. Alcohols (general), Dodecene, Ethanol (Ethy Alcohol), Isoamyl Alcohol, Isopropanol (Isopropyl Alcohol ), Methanol (Methyl Alcohol) , 1-Methylpropanol (n-Butanol), Propan- 1-ol (n-propanol), Propan- 2-ol (Iso-propanol), Tetrahydrofuran. Note: This product has a shelf life of 2 years and comes in a pack of 10 tubes. Time for Measurement: approx. 1.5 min. 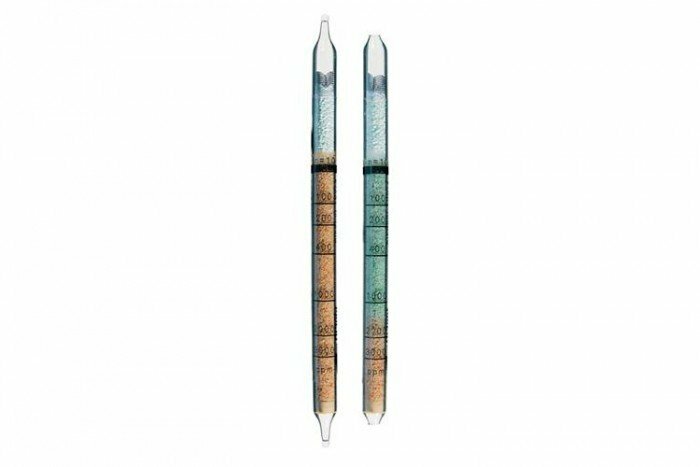 The tube does not differentiate between different alcohols. Higher molecular weight alcohols are indicated with a markedly reduced sensitivity. Aldehydes, ethers, ketones and esters are indicated, but with different sensitivity. Aromates, petroleum and halogenated hydrocarbons are not indicated.